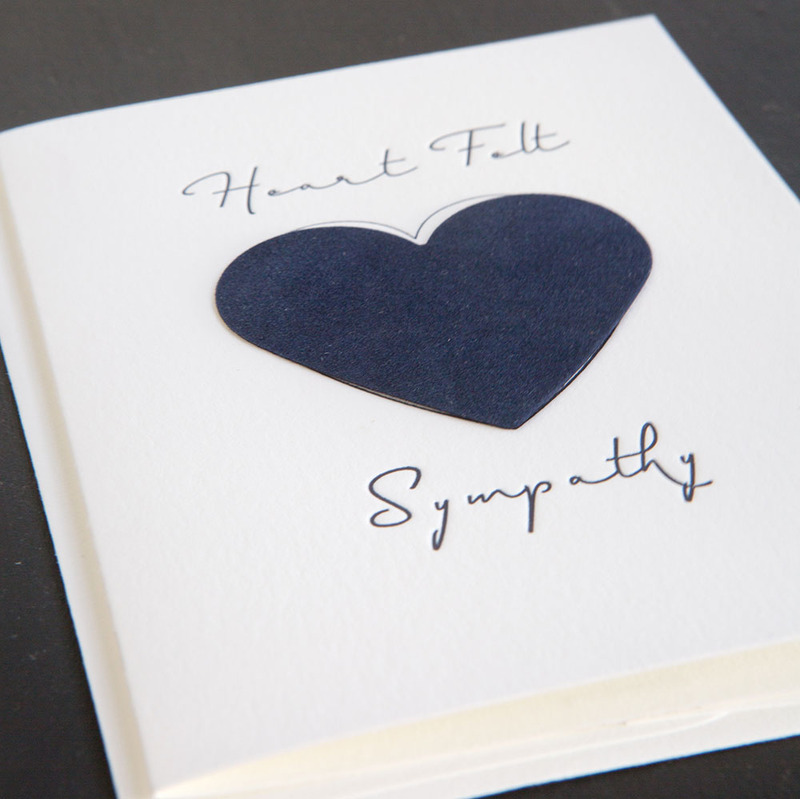 This “Heart Felt Sympathy” greeting card is extra special. It features a felted heart, fuzzy to the touch. Sure to warm the recipients heart and soul. An all round feel-good greeting card. 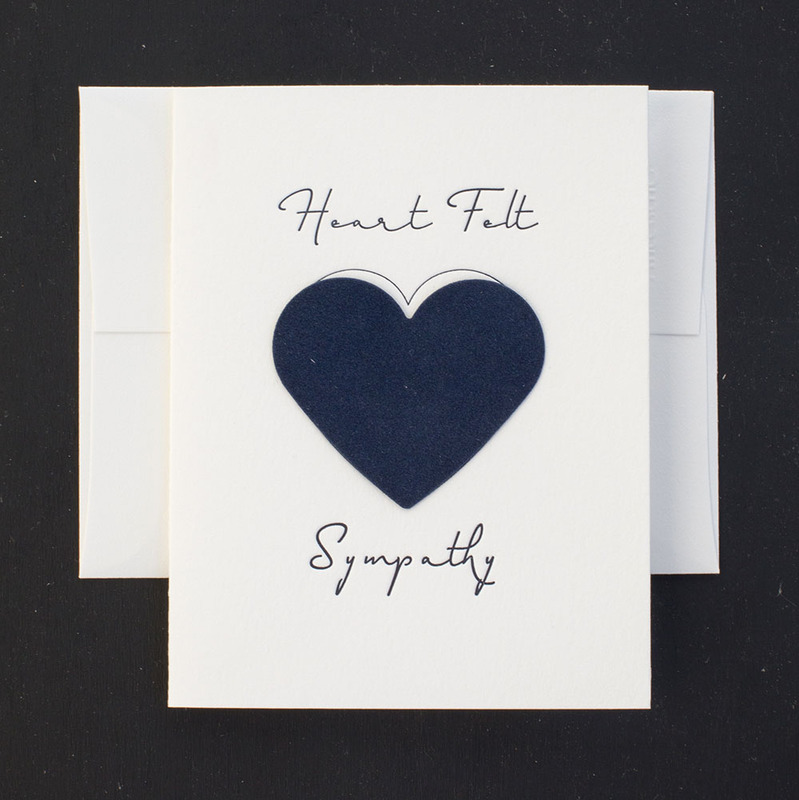 Letterpress printed in Night Blue ink on pearl white, 100% cotton card stock. Matching envelope included. Measures 4.25″ x 5.5″ and arrives in a clear protective sleeve.